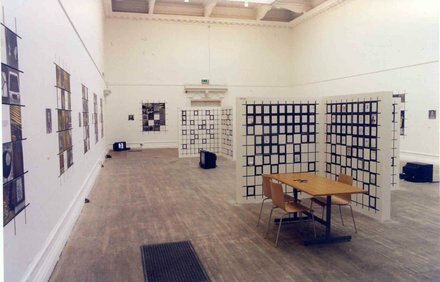 Changing Everything was a project made by Willats on the North Peckham Estate in 1998 as a commission from the South London Gallery. 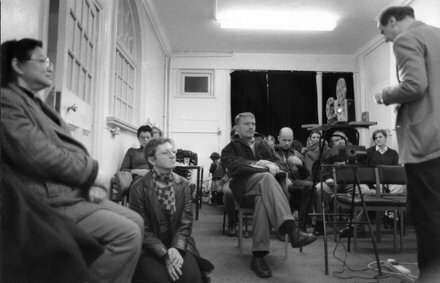 Some eighteen months before the presentation of the final installation he started contacting various groups of people living on the five estates near to the South London Gallery, to invite individuals to participate in developing the work. 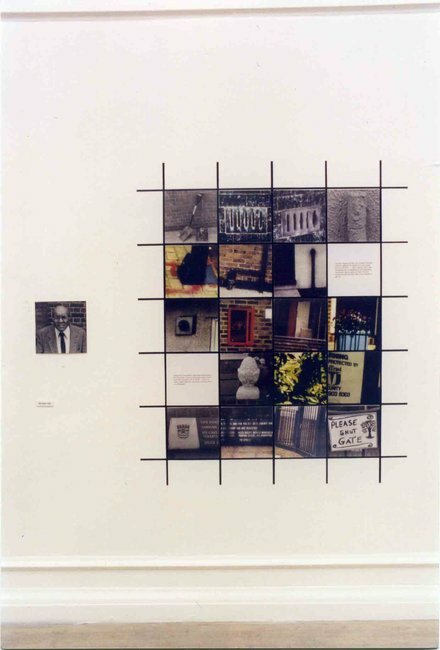 The focus of the work was the symbolism of the planned determinism expressed in the relativity of the Five Estates and Peckham North and how this was represented in contemporary life. 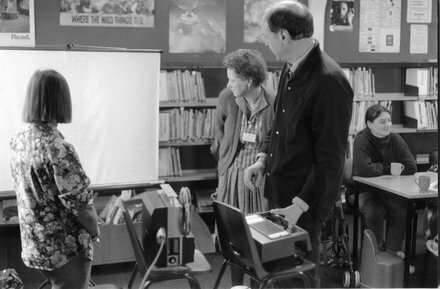 He initiated meetings and discussions with residents in institutions such as North Peckham Tenants Association and Vietnamese employment and Enterprise Centre, to explain ideas and show some documentation of other works and then arranged to meet those interested in participating in the project. Individual residents were asked to accompany the artist on a walk through the North Peckham Estate, taking Super 8 and Snappy Snap 35mm cameras, looking for signs, objects, textures etc., that they felt had another meaning and that through their perceptual transformation they could see as having a new association with their life on the Estate. All participants made the same walk, to show the relativity of personal perception. 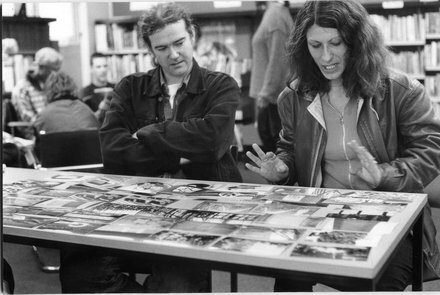 In workshops, participants edited their documentaries into a series of images and texts that reflected a question or problem situation that they wanted to ask the viewer about how life on the Estate could be changed. 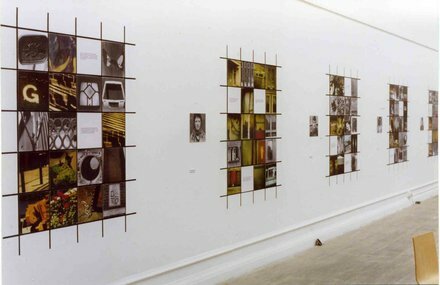 The resulting set of fourteen mosaics displayed in the South London Gallery were viewed with the aid of a Guide Book which presented these questions and, at the back, contained a set of Response Sheets on which the viewer’s own response to the Mosaics could be expressed in whatever way they wanted. 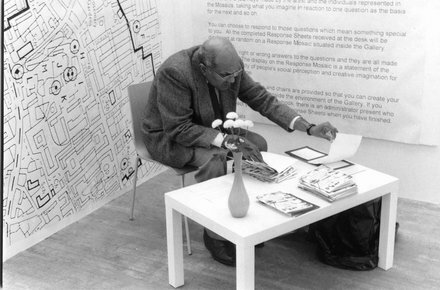 Pens and pencils, tables and chairs were provided in the Gallery so people could create their own conceptualisations on the Response Sheets. There were no right or wrong answers to the questions, and all the responses were made anonymously. Completed Response Sheets were given to an administrator of the installation who was one of the local residents that had made the Mosaics, and then in turn these were displayed on Response Mosaics, situated as free standing open grids in the centre of the South London Gallery. Each Wall Mosaic had its own dedicated Response Mosaic so that visitors to the Gallery could compare responses to each of the questions. The displays of the Mosaics were records of the personal journeys of the participants, and the Response Mosaics were a wider statement showing the diversity of people’s differing social perceptions and creative imagination for possibilities of change in the world around them.